Why did animals evolve skeletons, and why did plants begin to move on to land? Scientists have no definite answers, but it is probable that those changes yielded advantages in the struggle for survival. Unlike the shells of mussels and cephalopods, which consist largely of calcium carbonate, the skeletons of the first fish were made of bone tissue. Bone tissue contains phosphate, which is an important substance for animal metabolism. Phosphate in skeletons may have been a reserve to be used if animals experienced a lack of phosphate. Skeletons of bone may also have been advantageous in acidic environments. When exposed to acid, bone tissue is more resistant to dissolving than are shells of calcium carbonate. For a plant that has evolved in water, living on land must be like coming to an alien planet. To survive in such a very different environment, several adaptations are necessary. Plants must be able to avoid dehydration and to tolerate the harmful ultraviolet radiation from the sun. Scientists have found traces of a protective layer of wax on fossilized cells from the Ordovician. It resembles the waxy cuticle layer of modern plants, and serves roughly the same function as human skin. This indicates that the first land plants had evolved protection against drying out and harmful UV radiation. Modern plants also has a wax layer that protects against dehydration. 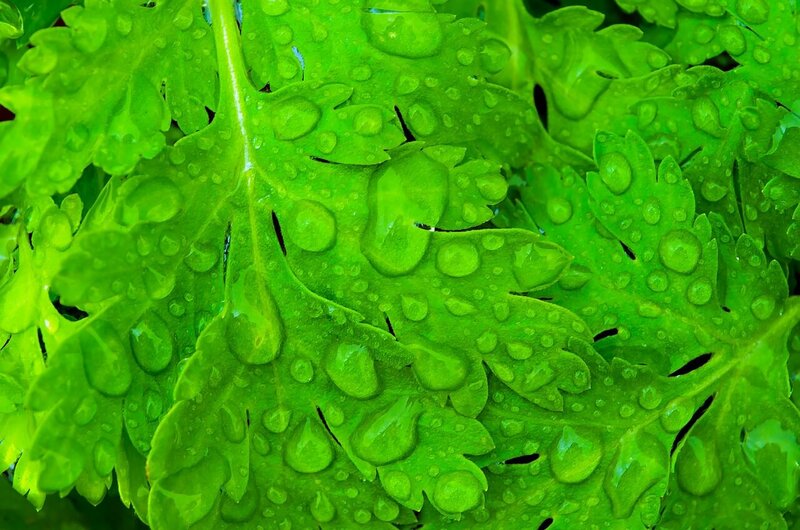 A plant also needs the ability to take up water, and to process oxygen and carbon dioxide. The exchange of water and gas may have occurred directly through the thin cell walls, in the same way as in modern mosses.